Tahoe Resources continues to suffer from an ongoing dispute with opponents in Guatemala at its Escobal mine, the second-largest silver mine in the world. Tahoe Resources’ (TSX:THO, NYSE:TAHO) ongoing dispute with Guatemalan protesters over operations at its Escobal mine, the second-largest silver mine in the world, is showing no signs of concluding, creating uncertainty for the both the miner and its investors. 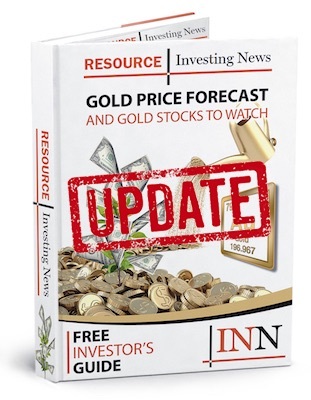 Both environmental and indigenous opponents of Tahoe’s operations have vowed to ensure that silver is never produced at the mine again and because of this, analysts and market watchers alike are expecting the company to post losses for Q3 on Tuesday (November 6). If Tahoe finds itself in the red for its third quarter, it will be the miner’s fifth consecutive quarterly loss. Guatemala’s Supreme Court originally suspended Tahoe’s license to operate Escobal in July of last year, ruling that it failed to properly consult surrounding Xinca indigenous communities about the project. “We are extremely disappointed in the court’s ruling suspending the license because we believe that there are no Indigenous communities affected by Escobal’s operations,” the company stated at the time. Being that Tahoe derived 45 percent of its revenue from Escobal, it was a substantial blow to the company, one that continues to impede its quarterly production and earnings. Additionally, the miner has been forced to let go of 872 employees due to the suspension, with close to 400 of the cuts happening in the last quarter alone. “The uncertainty in which the [Constitutional Court] has maintained the case compels us to adapt,” Andres Davila, a spokesperson for the mine, said in a statement following the last round of layoffs. “It’s all very worrying since the [court’s] decision could destroy the already weak legal certainty in Guatemala,” added Javier Zepeda, head of the country’s industrial chamber CIG. Despite everything that has happened, the company remains optimistic that Escobal could reopen in six months or less. Investors are also hopeful that a resolution will be found sooner rather than later. “We’re expecting the process to take six to nine months, but not years,” said Canaccord Genuity (TSX:CF) analyst Carey MacRury. As of 12:58 p.m. EST on Tuesday, Tahoe was trading at C$3.26.